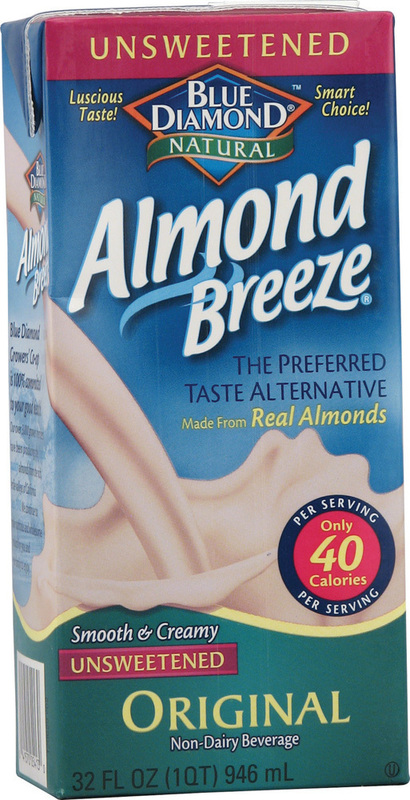 Almond milk is a healthy and natural milk substitute that is made from ground almonds and water. It contains no cholesterol or lactose like milk, and no phytoestrogens like soy milk. Almond milk's benefits are its lack of side effects compared to the alternatives such as cow's milk or soy milk. There are no side effects to drinking unsweetened, natural almond milk. The sweetened versions may contain sugar, which can lead to the side effects of sugar if overconsumed (weight / fat gain, obesity, hypertension, diabetes, tooth decay, etc), but this should not be a problem with a glass of almond milk each day. Check your label to see if you are okay with any of the sweeteners, thickeners, or artificial flavors inside. If you are, go with a completely 100% natural almond milk.